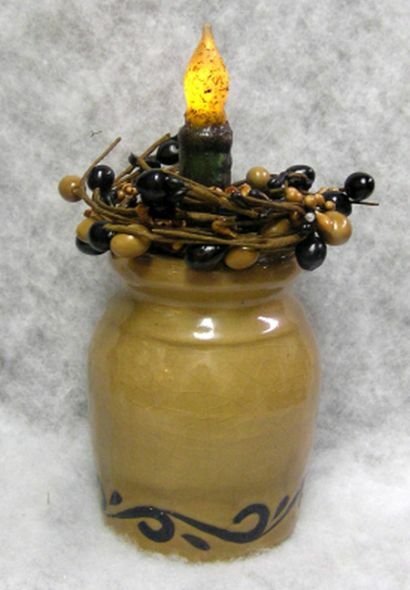 This item features a battery operated rustic candle mounted in a crock with a handle. 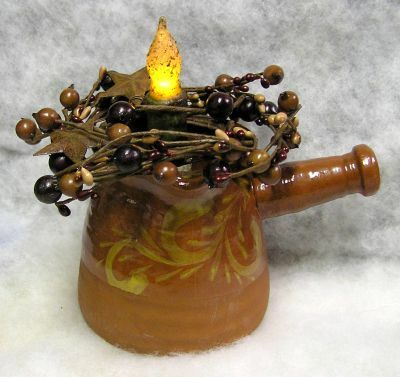 It also has a berry wreath with rusty stars around the top. It measures 7 x 7 x 6. 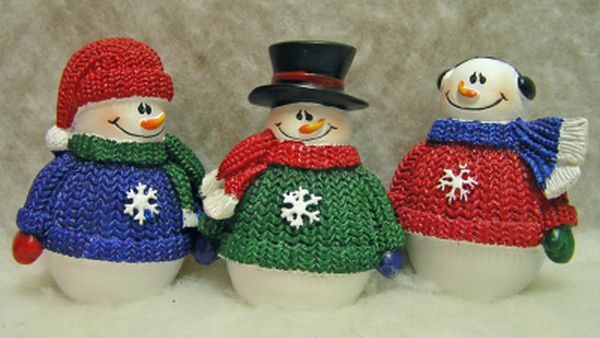 A ring of multi colored berries surrounds the top of this ceramic crock. It has a rustic looking LED candle in the center. 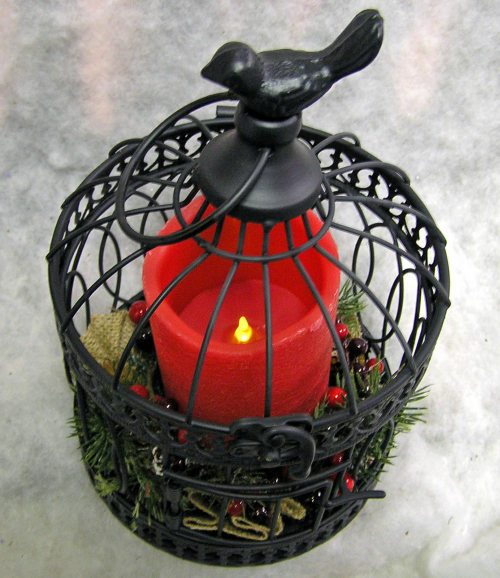 The candle uses 2 AA batteries which are included. 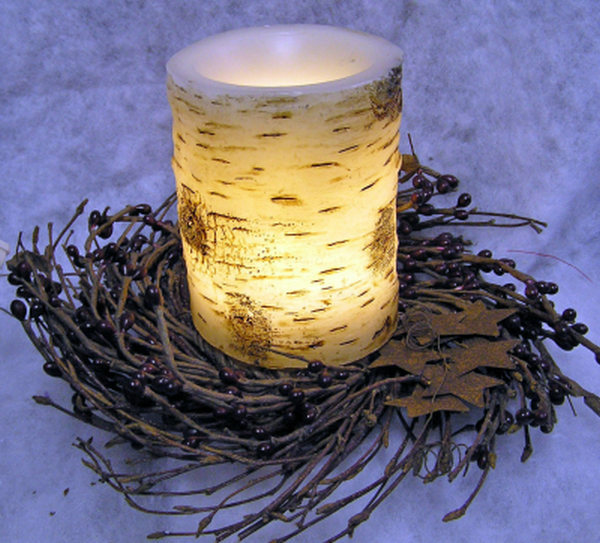 This LED candle has a rustic cinnamon finish. It has a burlap ribbon around it with a rusty snowflake on the ribbon. It uses 2 AA batteries. This beautiful LED glowing candle looks like a birch branch. 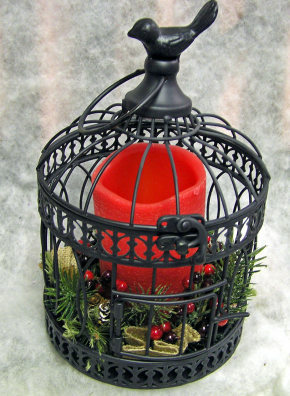 It is sitting on a base of berries, twigs, and rusty tin stars. It uses 3 AAA batteries which are included. It measures 6 x 8 x 8. 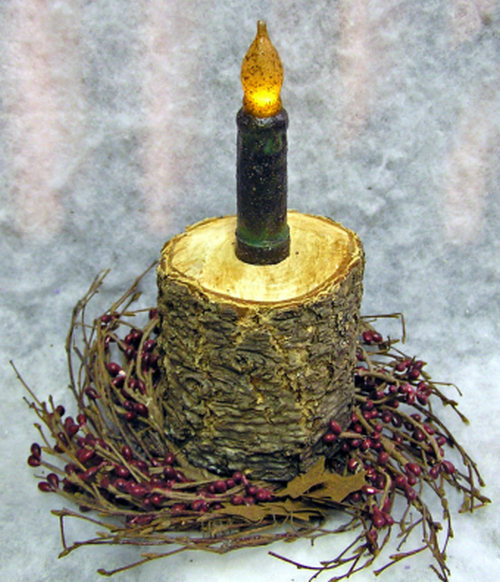 A rustic wooden branch is the base for this Manchester Cottage candle creation. It is sitting on a base of berries, twigs, and tin stars and has an LED candle that fits into the wood. 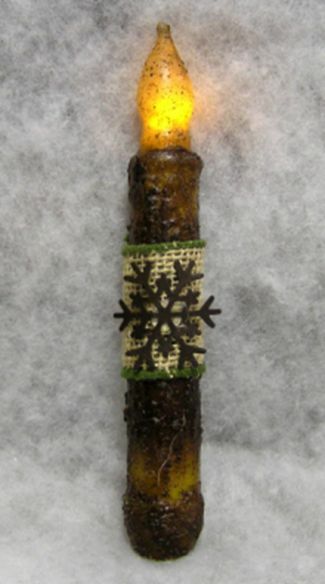 The candle uses 1 AA battery. It measures 10 x 8 x 8.